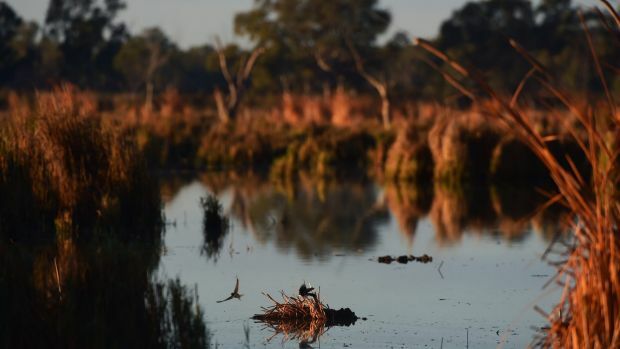 On the face of it, the Murray-Darling basin plan has all the hallmarks of a “good policy”. It has a clear objective: to cap extractions from the river system, so as to ensure the basin’s long-term ecological, social and economic sustainability. It’s backed by scientific evidence and has considerable public support, both in cities and the bush. Significant extra funds were made available to achieve more efficient water use and to buy up water entitlements for the environment. As the plan has evolved, there have been steady consultations with stakeholders in the many catchments that make up the basin: the great patchwork of communities, water and land that together form much of Australia’s productive heart. But something has clearly gone wrong with the plan’s implementation. In July 2017, the ABC’s Four Corners, in a program graphically titled Pumped, reported serious problems in the Barwon-Darling. Compliance with the existing rules was inadequately enforced: some big irrigators were extracting water illegally, and little action was taken against them. The problem was clearly not restricted to just one part of the basin. 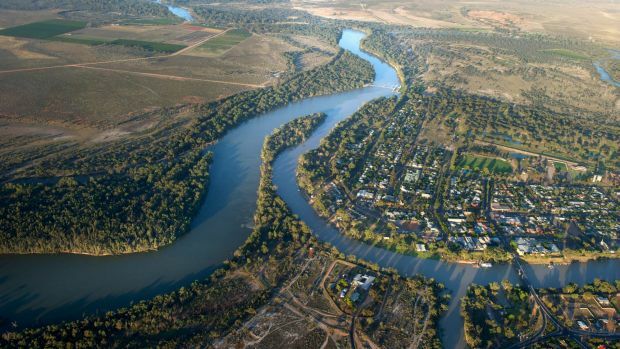 An independent review commissioned in the wake of the Four Corners program reported that the plan itself was at risk if state governments and the Murray-Darling Basin Authority could not, between them, ensure compliance with its requirements. Water politics, once largely contained within intergovernmental forums, have broken out in the federal sphere. Earlier this year, the Senate voted against a proposal, supported by the authority, to reduce by 70 gigalitres the water required to be set aside for environmental flows. As a result, two states – NSW and Victoria – threatened to pull out of the agreement that underpins the plan. Without the states’ active involvement, the plan has no chance of effective implementation. As always in public policy, you need to know the history to understand what’s going on. Constitutionally, water management is a responsibility of state governments. But the states couldn’t afford to act independently of each other, because the river system involves four of them: Queensland, NSW, Victoria and South Australia, plus the ACT. The first agreement for sharing the Murray River’s waters was made between NSW, Victoria, South Australia and the Commonwealth in 1914, and others followed. The first clear predecessor of the current authority, the Murray-Darling Basin Commission, was set up in 1987. The big change came in 2006, after seven years of drought brought the Murray-Darling to crisis point. Then prime minister John Howard announced a revamped national water initiative, under which the states would give up some of their water management powers in return for massively increased Commonwealth involvement in, and spending within, the basin. While the states didn’t give up any of their powers, the National Water Act, which that established the basis for the current plan, was passed in 2007. By 2012, all the states were, more or less, on-board. Controlling total diversions from the river system rests on the completion of 36 water resource plans by mid-2019. The plans are crucial to achieving the overall targets. The theory of adaptive management, which underlies the approach, is quite sophisticated. As improved metering and monitoring kicks in, more information goes from each region to the authority, and implementation can be fine-tuned. All this seems well and good. But it overlooks one crucial factor: the disruption of the largely state-run governance of the river system and, in particular, the local and regional institutional structures that underpinned it. Each state did things differently, but the underlying mechanisms were similar. The “rules of the river”, as they were called, were overseen by officers of the relevant state government department. Water users bought licences that entitled them to secure amounts of water and, in good years, a bit more than that. To achieve these commitments, officials decided how much water was to be released from dams and when. As we know, far too many licences were made available, and the rivers became increasingly stressed. There were many examples of the effects. In the Macquarie Marshes in northern NSW, for example, there were often insufficient environmental flows to support the breeding of waterbirds in the internationally listed wetland. Overcoming these problems in a comprehensive way depends on completing, accrediting and implementing the new water resource olans. But, in many areas, there are conceptual as well as practical problems in doing this, because existing state government arrangements must somehow be reconciled with overarching environmental objectives set by the Commonwealth. Unsurprisingly, the authority’s report on the completion of water plans records a good deal of difficulty. By January this year, only one plan, for a largely unregulated system in Queensland, had been completed. There are other issues. The states, particularly NSW and Victoria, have faced many water management challenges of their own. Institutional arrangements in NSW have been reconfigured many times. Enforcement of state water laws sits uneasily between WaterNSW and the Department of Primary Industries. Even if compliance is better enforced, from the states’ point of view, it is unclear how they will be able to meet the agreed diversionary caps while fulfilling their commitments to users. Meanwhile, the basin’s rivers continue to create their own power structures. Water users in those portions of the basins that lie upstream (south-central Queensland and north-western parts of NSW) have more ability to manipulate water flows than those downstream. At the same time, these headwaters contain many unregulated (undammed) systems, where pumping is not particularly well-metered, if it’s metered at all. South Australia, where the Murray River reaches the sea, suffers the effects of all that goes on upstream. Victoria and NSW, facing each other across the Murray, have each developed intricate patterns of regulated extraction and consumption. Changing water policies have introduced new incentives and uncertainties. Water-trading, which aligns the resource with its most profitable uses, allows buyers to reduce their level of risk and, if they wish, profit by on-selling their entitlements. Sellers, on the other hand, may become less secure, with knock-on effects on communities if too much water is traded out. Infrastructure works by irrigators will supposedly allow sustainable diversion limits to be achieved without the need for significant further buybacks of environmental water. But no one knows for sure. Are the states part of the answer or part of the problem? Perhaps the key missing ingredient here is an acknowledgment that the states had – and have – a rightful place in the running of the rivers. Their role in the day-to-day management of the system remains indispensable. Managerial monitoring by the authority is all very well but, as we learn time and again, it produces disaffection and “gaming” on the ground. Not only the devil but the reality is in the detail. The states must be brought back in, so that their local and regional presence becomes part of the new accountabilities, rather than being seen as an obstacle to their achievement. Without the states, the Murray-Darling plan’s success hangs in the balance. Reporting “up” is necessary, but so is the day-to-day decision-making that is crucial to adaptive management. What is needed is a workable governance regime at the middle level, one that links catchment-level resource-sharing and compliance with the plan’s requirements.